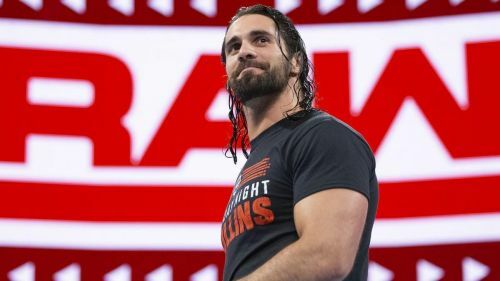 Seth Rollins, who won the 2019 men's Royal Rumble match, is set to challenge Brock Lesnar for the Universal Championship at WrestleMania 35, where he'll presumably defeat Lesnar and become the red brand's new main champion. It's been quite a while since WWE had a full-timer hold Raw's main title for an extended period of time, as Kevin Owens is really the only one to hold it for a significant period of time. In fact, two of the three full-timers who have held the title (Finn Balor and Roman Reigns) were forced to relinquish the title due to unforeseen circumstances. So, barring injury, Rollins will likely hold onto the title for quite a while, which would certainly make the fans happy, as they'll finally have a full-time Universal Champion. As for who will challenge Rollins after he wins the title on April 7, well, here are a few ideas. WWE is reportedly returning to Saudi Arabia on May 3, which likely means that Brock Lesnar will be sticking around for at least one more month after WrestleMania 35, as he's been a part of both of the company's shows in the country. Last year, Lesnar had a Universal Championship rematch with Roman Reigns at the event, where he defeated the ex-Shield member in controversial fashion. But, if he does return for the upcoming Saudi show, he'll likely lose the rematch with Seth Rollins. It's quite clear that the UFC is interested in bringing Lesnar back, specifically for a Heavyweight Championship match with the current champ Daniel Cormier, so it would only make sense for "The Beast" to put Rollins over on his way out of the company. However, if Lesnar does stick around, then he'll likely beat Rollins in the rematch, which certainly wouldn't please the WWE Universe.